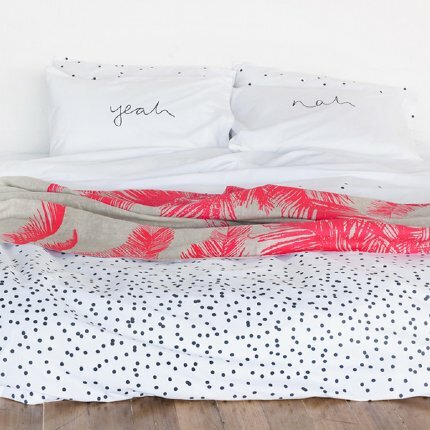 What could be more Australian than a double sided 'Yeah' / 'Nah' pillowcase?! We love these for adults, but they are oh so appropriate for kids & teenagers! Available in charcoal print on white or grey organic cotton. Screen printed by hand with non-toxic ink in Melbourne and Geelong. We love these for adults, but they are oh so appropriate for kids & teenagers! You can't get anymore Australian then a 'Yeah/Nah' pillowcase. Comes in white or grey organic cotton with charcoal writting.